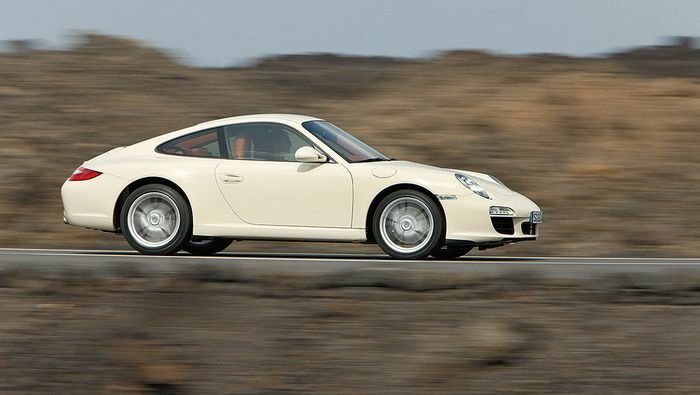 Does The New 911’s Weird Backside Prove Porsche's Design Critics Wrong? 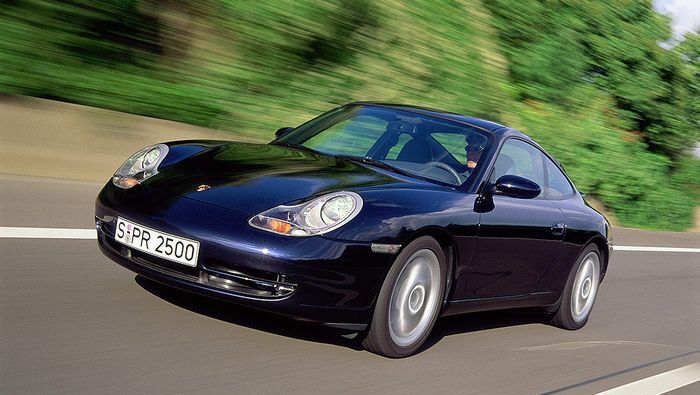 But there’s a reason the 911 has been left largely unchanged for so long. You can’t mistake its silhouette, which from day one was a truly beautiful thing. As trends and time evolved it got more muscular to suit more modern tastes, but place a classic 911 next to a 991.2 and you could tell they were related from the other side of a crowded room. That’s good for the brand. It wouldn’t have been if the 911 had been born with the face of a mole rat, obviously, but Porsche hit a great formula and had the both the sense and foresight to stick to it. Generations like the 964, 993 and the 997 we examined at yesterday looked so tight from every angle. Now we come to the imminent arrival of the 992. The final stage involves test mules putting their stability control systems and tyres through their paces at the Nurburgring, which we saw earlier this week, and it was there that we caught sight of the new car’s back end. It’s… different. The main feature varies depending on whether the gigantic new active rear wing is up or not. With it up, it’s hard to look at anything else. 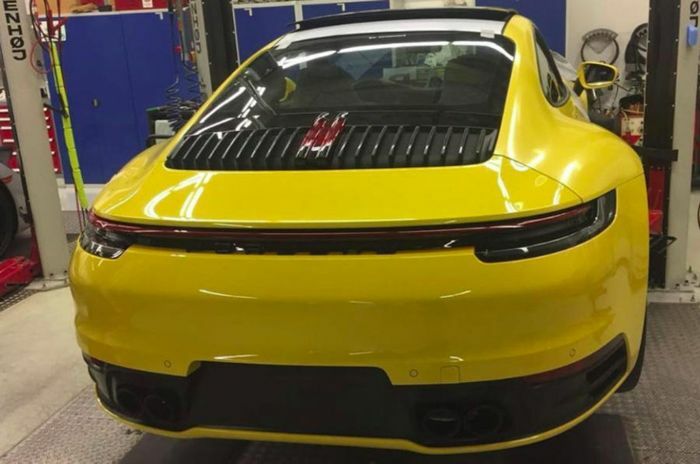 The proportions are on the upper limit of what would look right on the car and from some angles the gracefully curved spoiler gives the 992 an almost 959-ish rear. From others the effect is less appealing. 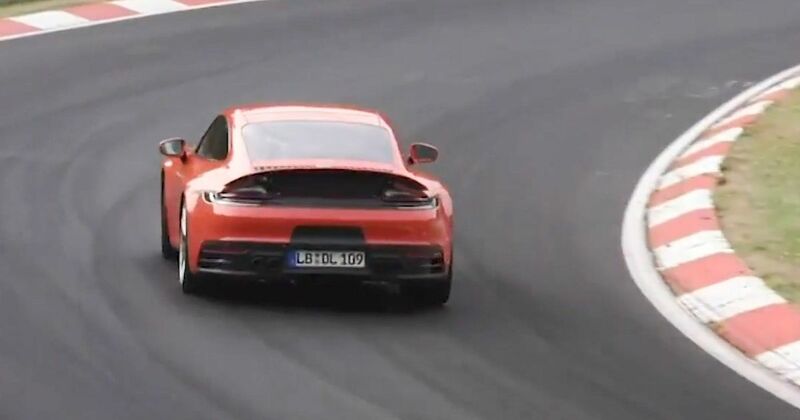 It’s sometimes tough to tell exactly what’s what in the recent testing videos we’ve seen, but with the spoiler up there seems to be an ugly black void beneath it, and then a black strip connecting the light clusters - although not all test cars seem to have it. It doesn’t look terribly familiar, which, on a 911, makes it look almost alien. Wrong, even. It’s almost like Porsche has given in and finally made a concerted effort to shake the car’s styling up a bit, but that’s like twisting when your cards already read 20. It goes without saying that final judgement will have to wait until we see better images of the production-spec car. At this stage, though, Porsche’s nagging design critics might start to wonder whether they should have been more careful what they wished for.